After yesterday's post I could not resist starting another citron. 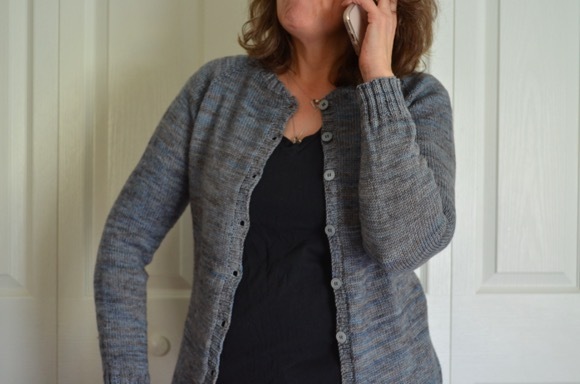 I have been working so diligently on my feather weight cardigan that I am a little tired of it. Just winding up the skein into a lovely yarn cake and casting on those three little stitches made me so happy. I know the featherweight cardigan will be done sometime today. It is that close to being done. This shawl will be a lovely diversion for the rest of my summer. I picked up this magazine while out and about with the family a week ago. I love almost all of the patterns. There are quite a few shawls that caught my eye and are begging to be knit up. I just have to see what are the yardage requirements and then check out what is in my yarn stash. Hmm. What would the chances be that I would need to go yarn shopping? Oh the cruel demands this hobby of mine makes of me! I am still reading I Capture the Castle, nearly finished! It is a good book and well worth the read especially if you like the process of writing or keeping a journal. The story is set in England and I enjoy the American characters and their mannerisms. That shawl pattern is beautiful! I have seen so many people making shawls this summer, I think that I should make one myself. And that Jane Austen Knits magazine looks awesome! Is it just a specific issue, or is it actually a magazine I can subscribe to? I will have to look for it regardless! I had a feeling you would be casting on a new project. :) Reading your posts alwasy makes me want to pick up my needles, every project you do is just beautiful Karen. I do hope you can force yourself into the yarn store for more yarn, be strong! That shawl in your header photo is gorgeous, I can't wait to see the new one you're working on. What a great color for your next citron. I will need to flip through that magazine. My current lys is having a birthday/anniversary celebration this weekend. I think I need to pop in to show my "support." I wonder if they have this mag. That magazine is on my "buy" list. It is nice to take a break from projects and that shawl will turn out so lovely. I love that color--happy knitting! I am knitting a blanket for the middle child, trying to get better at knitting. I just finished a book by Christine Feehan and have not decided on a new one yet. I can't wait to see the cardigan!! And I so badly want to cast on for citron but I know me....that'll be the ONLY thing I work on. And I have a few other projects going PLUS I want to do the Ravelry Olympics or whatever they're called now. And I already have 2 other projects I want to do for that. Citron may have to be my winter knitting while I'm dreaming of warmer weather! Can't wait to see your cardigan and the shawl looks beautiful! Speaking of yarn shopping, I went to this place called WEBS yesterday....they claim to be the largest yarn store in the world. It just may be...the place was huge! I love (LOVE) kntting the citron---perfect summer knit.....and your yarn is scrumptious!!!!! I've been toying with casting on for a featherweight----go ahead, tempt me some more!!!! Love that yarn color! Absolutely stunning! And I saw that magazine in Hobby Lobby a few weeks ago and thought about getting it. Would you recommend it? After the way your first citron turned out I can't blame you for wanting to start another one! I love the feeling of a newly cast on item. That magazine looks fantastic! The mitts on the front are wonderful! Have fun with your second citron!! What a fun magazine to have! Hun fun with the Citron. Can't wait to see the progress. i wish the bookstore had that mag...want to look at it before buying! 'I Capture the Castle'is a favourite with my daughters! Written by the author of '101 Dalmations'- another lovely book!Lovely yarn- I'm very fond of brown. I got last year's Jane Austen magazine and loved it. I'll get my hands on the new one someday. Such pretty wristlets! I can only imagine what the other patterns are like in that magazine. 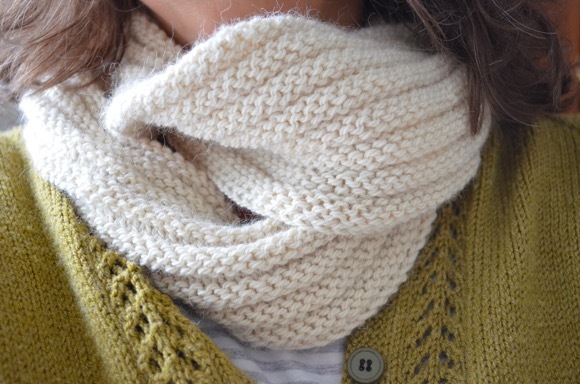 The citron looks gorgeous (I peeked at the ravelry project)..Is it terribly difficult? I would love to make a shawl, but i'm not sure which one is good for a beginner. I think the starting of the citron can be tricky but after 6 rows I think it's easy. Give it a try!! I took a look at the pattern and it might be something I can do...I may as well try! I have read so much about this magazine, I really think it's time I bought it. Your yarn cake looks lovely, I am looking forward to seeing your new project. Glad you enjoyed the book, I did too. That magazine looks like quite a find, can't wait to see what you make! I love visiting your page - I always see something gorgeous! Jane Austen knits sound dreamy. I think there may be some yarn purchases in your near future haha! Thanks for reminding me that I need to get the latest Jane Austen Knits! Hope this Citron goes smoothly for you! Teehee! After much debate, I picked up the same magazine yesterday. There were two patterns I really liked, but I didn't know if I really, really wanted the magazine. I finally gave in! Just love that brown! It is so rich. I have never seen your mag of Jane Austin knits. I will definitely have to look that one up. Love the yarn for your citron. Did you make that shawl in your header picture? It's absolutely beautiful! The new knit looks beautiful already - that yarn is gorgeous and I'm guessing in that mix very nice to work with too. I am currently trying to use yarn from the stash but that doesn't mean I didn't purchase a whole lot more last month. Thanks for coming by to say hello.